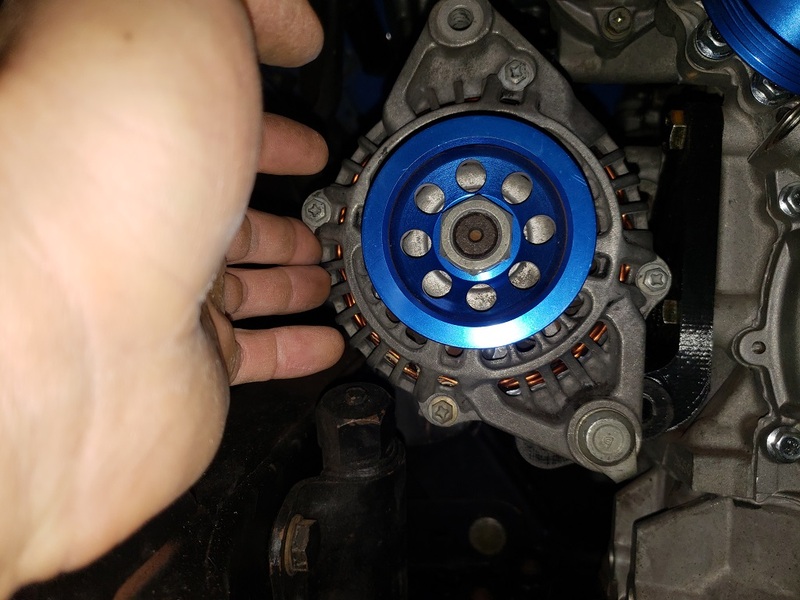 Can you use a FWD alternator setup that puts it on the other side of the block? This is the problem with the 620. 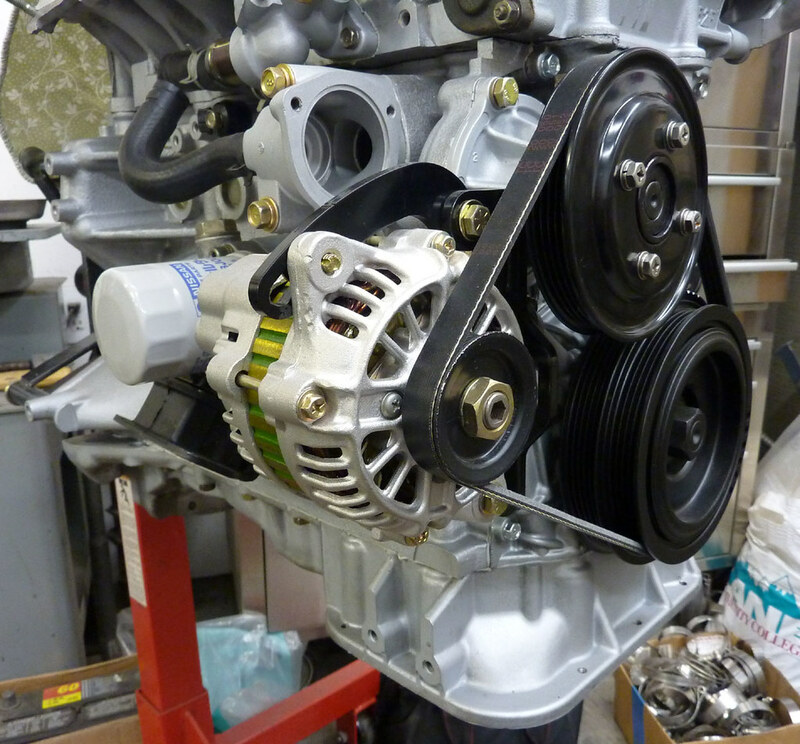 The lower rad hose wraps around the alternator and enters the timing cover just above it so you can't go too high. A z car water inlet is swept back slightly more and helps move the hose back and away but intimately the inlet fitting is still in the way. I used a 720 3 bolt block mount. It moves the alternator slightly higher than the L series ones. To mount it I had to put the belt on the pulley first then the two lower bolts into the block mount. Then the tensioner strap, tighten the belt, then the two bottom bolts. I had a 90 amp Chrysler K-car alternator. There's room on the distributor side for an air conditioner compressor so there's got to be room for an alternator. There's also several threaded holes on the side of the block for this or the earlier air pump. I broke the bolts off an old 521 I had back in the 70s and a friend moved the stock alternator to the distributor side. Seemed like there was lots of room and no rad hose in the way. Yup, just noticed it. ? It actually mounts the alternator up high, above the ac pump, on the other side. I have a bracket to relocate the stock alternator 1" up, just waiting for Jeff to make a couple prototypes. ? 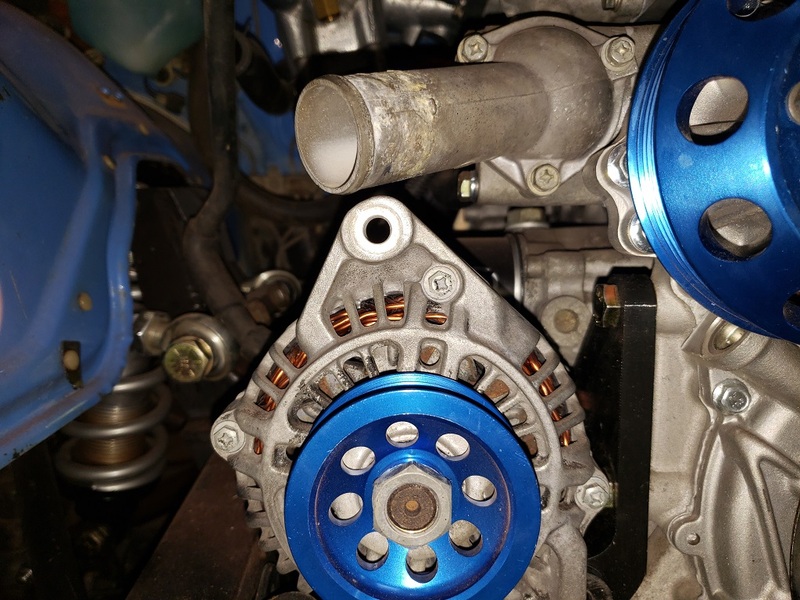 You can always get a high-output Subaru Justy version (120amps) and use our proven alternator swap kit. That's a decent option, I couldn't find that before. If this sr20 relocate bracket doesn't work I may have to go that route. Thanks a lot. Turbo.... for the good of the order, can you post a pic of your solution? What does the new bracket look like? Did you end up using the 120 amp Justy alt or an SR alt? Spriso: Does your Justy alt mounting kit work with that 120amp hi output Justy alt as well? Steve: If the prototype bracket works will you be making these? Just curious. I believe ]2eDeYe is working on the alternator mount too. I am waiting patiently by for him ? I think keeping the stock hardware is a good idea, but more room can be made with shorter bolts. The turnbuckle needs somewhere to attach the fixed end. 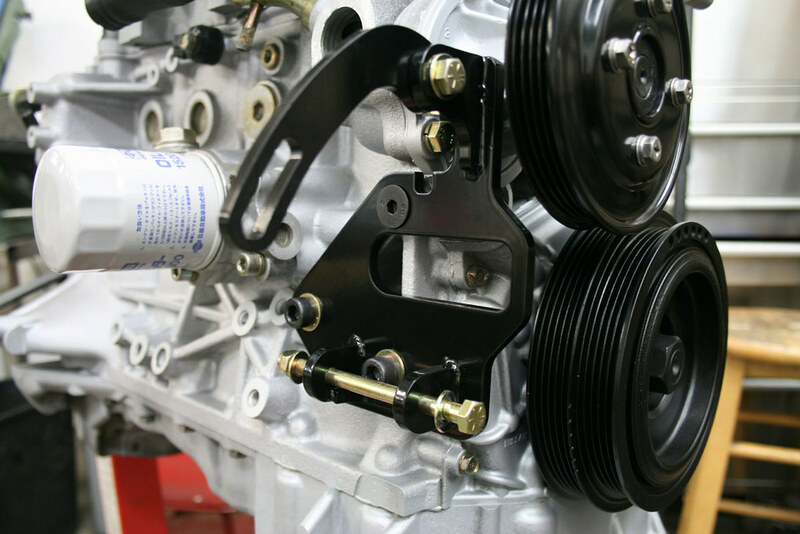 Using a timing cover bolt gives more/better adjustment. 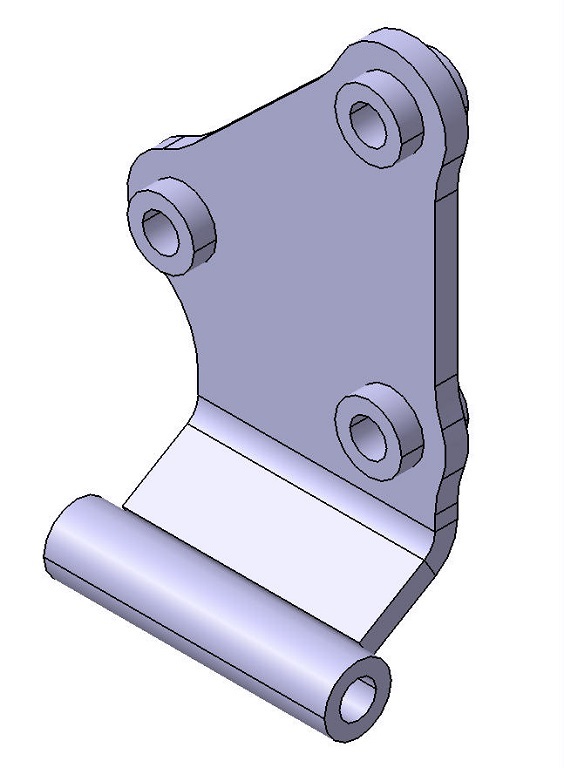 Incorporating it into the mount will increase the size of the part, material and shipping could go up. Here is the current design using shorter bolts. The part of the mount you can see at the bottom is an extra hole, that portion of the mount will not be there and the alternator will be able to rotate out from the block quite a bit. Thanks to Turbosauce74 for working on the prototypes for this. I am going to make these yes. Still not sure on the final design, I want to nail it down per the pros/cons above. 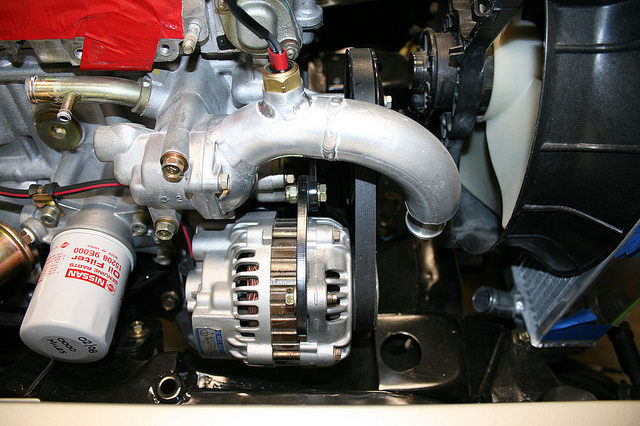 Yes, our Subaru Justy alternator kit works with the 120amp alternator (same case, higher output internals). 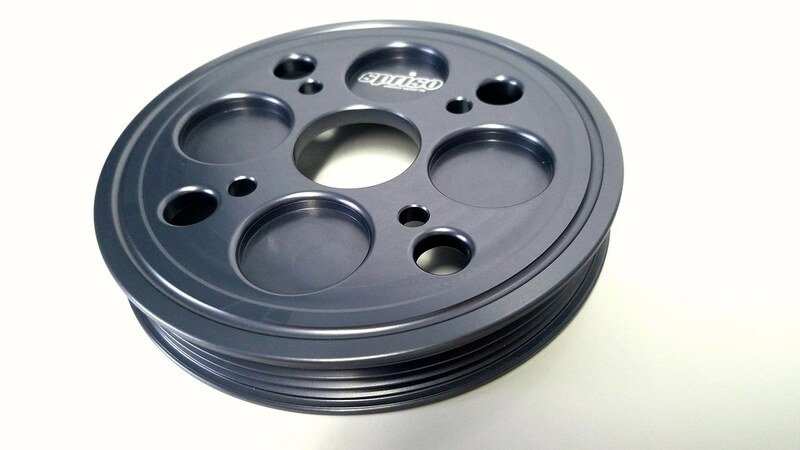 Our bracket/pulley kit fits nice and tight to the block, and is a proven design with 18+ years of being on the market. Just the bracket to block-- I'm sure you can replace with stainless versions if you so desire. The alternator to bracket and bracket adjuster hardware is all grade 8, 5/16" SAE hardware. when is the official release?! ?